Acquired directly from the artist by Vincent Price. Selected Artists Galleries, New York. P. M. Orlan & M. Cot, La glace à deux faces, Bellegarde-Vichy 1957, p. 127 (illustrated). This self-portrait was made on the occasion of the publication of the book la glace à 2 faces by Pierre Mac Orlan, Paris 1957. 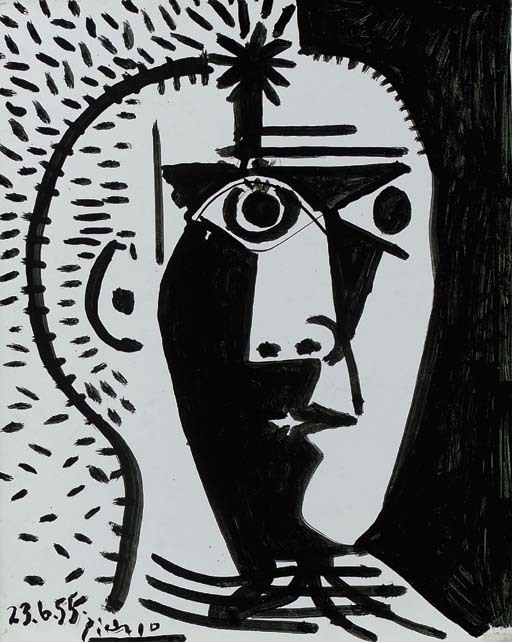 Picasso's photograph and his self portrait are illustrated on pp. 124 and 125.